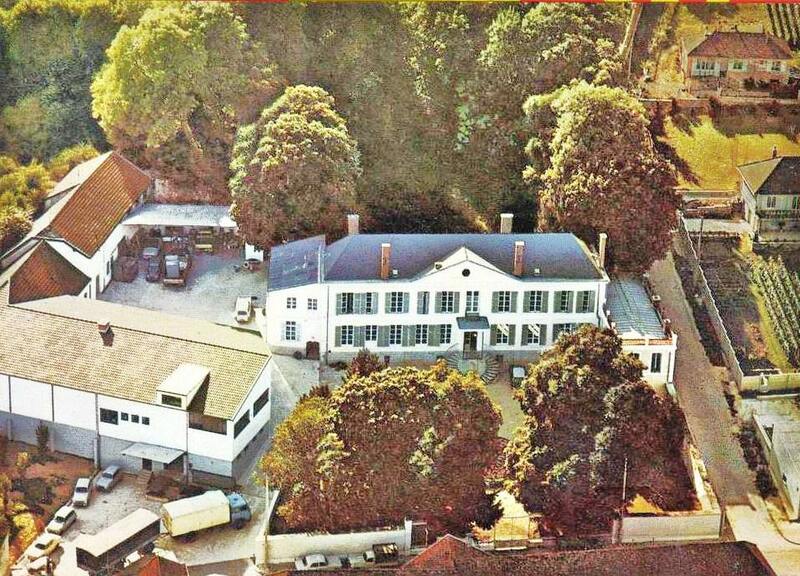 Founded in 1966 by Christian Andreas Kupferberg, it bears the name of Arthur Bricout, his ancestor. inauguration of Cuvée Alain Delon about 1980.
" Bricout & Koch "
developed in Avize since 1820 reborn. 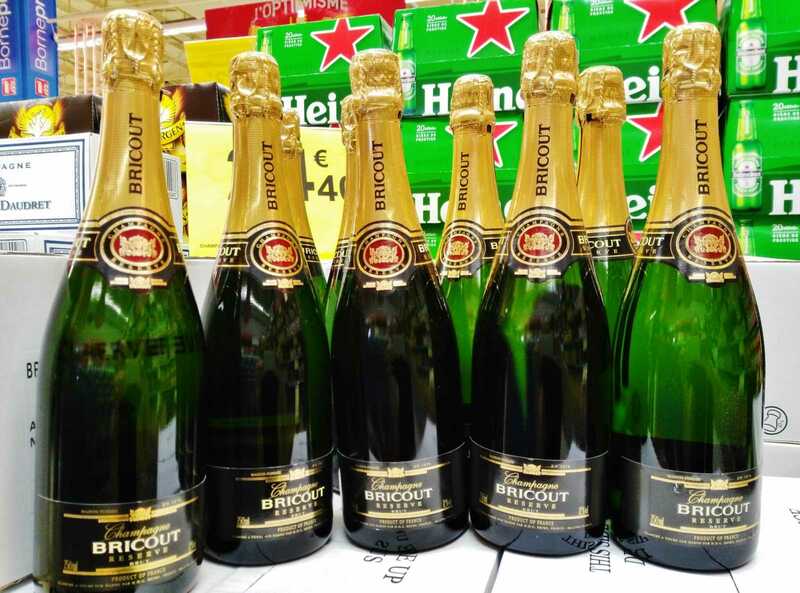 With a meteoric rise, Bricout & Koch managed to lift the 10th-largest champagne houses with almost 3 millions bottles produced in 1990, sold exclusively through traditional networks and high prices, corresponding to the true product quality . We must find men capable of taking the torch passed on by generations of Champagne growers primarily driven by the passion of the vine and wine in order to prevent the disappearance of this French heritage in multinational investment funds. So it is a providence, and certainly a big risk when the Martin family of Bouzy meets this difficult challenge into a crisis of this profession, taking over the family Kupferberg labor, which itself had taken over the operation of Champagne Charles Koch dating from 1820 in Avize. Play Peter Martin talk of its vines, and Bricout Delbeck, is to hear a family man talking about his children: the same attention, even affection, one might say! MARTIN buys Bricout & Koch KUPFERBERG . Bricout then produces 2 millions bottles and Delbeck 800 000. The German group RACKE, international holding company, majority shareholder KUPFERBERG, considers that the necessary investments in Avize are too important. SA Financial MARTIN & Son belongs to Pierre Martin, winemaker and mayor of Bouzy, already owner of the prestigious trading Delbeck. Champagne companies BRICOUT & KOCH, DELBECK (purchased Boizel-Chanoine, Champagne in 1995 with its 130 hectares of vineyards), Champagne WARIS, Sté MARTIN WINE (founded 1995), vineyards, Farmland Groups, wine contracts, trademarks and distribution networks associated with them, Civil Societies Estate, PERARDEL Distribution at Chalons-sur-Marne, and that in partnership with Vranken brokerage firm P.M. COURTAGE and life insurance bonds. 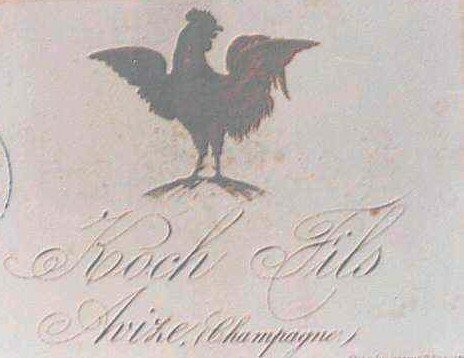 The production of Champagne Bricout & Koch is still in Avize. Pierre Martin continues the Champagne Charles Koch , basing its business strategy on the historic pasts of Koch and Delbeck itself established in 1832, supplier of the French royal court. 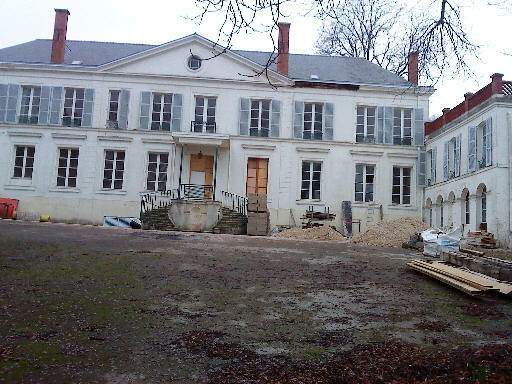 In anticipation of significant growth, an important project of investment is launched in Tours-sur-Marne, near Epernay . Pierre Martin then began the overhaul of its corporate with a global reorganization of Bricout & Koch, Delbeck, Sté Wine Martin and Waris. 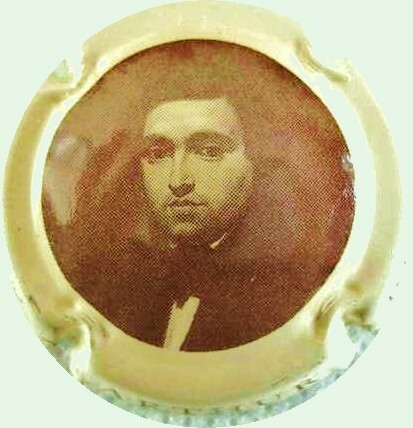 Paul-François Vranken by successive acquisitions. A large group of Champagne in Bouzy or Avize, this is an ambitious initiative. 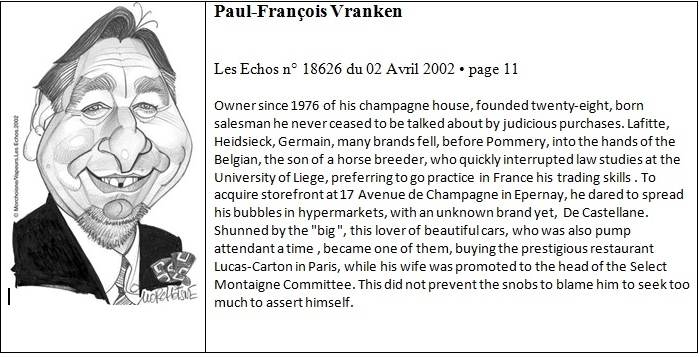 But Vranken has a great head start since 1978 with in his hands Veuve Monnier, Charles Lafitte, Collin, Sacotte, Barancourt, Charbaut, Heidsieck Monopole, Pommery, its most successful acquisition will be probably ... BRICOUT ! Unfortunately, it is clear that the global economic crisis is serious. For 2003, growth in real GDP in most rich economies will be less than 1%, except the USA. Financial difficulties forced the sale of Bricout Delbeck Martin to the US-owned Luxembourg investment company Opson Schneider. Opson Holdings Ltd is an investment company founded in Luxembourg in June 2002, held by Schneider's Liquors (Washington DC) and directed by Serge Hauchart among others, involved since 1998 in money laundering with the Italian bank Fondo (see case Karachi). Serge Hauchart also runs at this time a company SCEV Champagne Tours sur Marne (Champagne LeBrun then taken by the Plantagenet group based in the Cayman Islands via PLB Holding based in Luxembourg - for more details see Trial Los Angeles September 14, 2007 paragraphs 7 to 22). Pierre Martin then meets Serge Hauchart through the Lebrun family, he is a close friend. 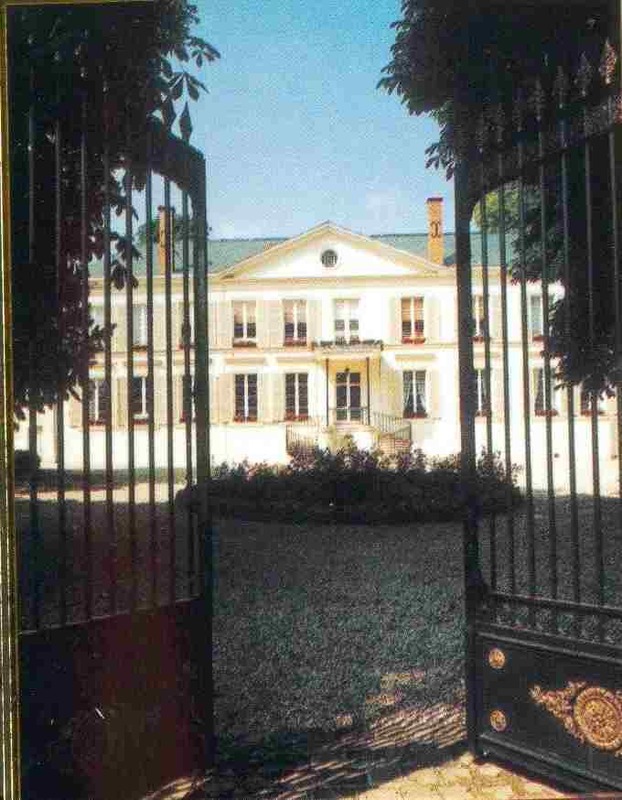 March 13, 2003, Opson Holding thus takes control of the Holding Martin in an agreement finalized in haste with Pierre Martin, Serge Hauchard and Schneider’s Liquors, for one symbolic euro, while complaints tributary to the Court of Reims. When Opson-Scheider takes over financial Martin is unable to meet its payments for two months, then liabilities exceeding € 57 million. But it seems that Serge Hauchart has no real plan for saving Bricout, so he will seek money from owners Opson Schneider's Liquors (See testimony of Richard Genderson below), then making new victims in this inevitable bankruptcy. The Bricout case thus goes beyond accounting hacks of Pierre Martin trying to save his company because it must include Opson during the very short period of time of its takeover on Bricout. But American extension of Bricout case is much more opaque than the Martin whose newspapers simply talk. 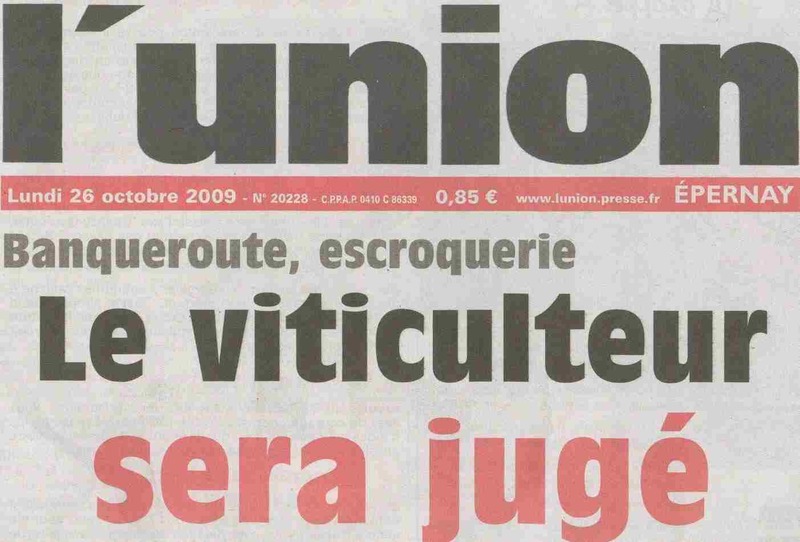 April 24, 2003, Bricout-Delbeck files for bankruptcy, with liabilities estimated at €100 millions, and the Court of Reims opens a criminal investigation. Pierre Martin is the main publicized in this case as winemaker and president of Bricout having mounted « Martin system». Pierre Martin, ex- chairman and CEO of the holding Financière Martin is jailed early May 2003, charged with fraud, bankruptcy fraud and embezzlement, the Chief Financial Officer Louis Fariello and Epernay wines broker Luc Lhermitte are also charged and remanded. In Avize, large sums of money disappear during this year 2003, as many bottles, while the union revolt rumbles, the workers begin to destroy the Champagne and Avize Castle. 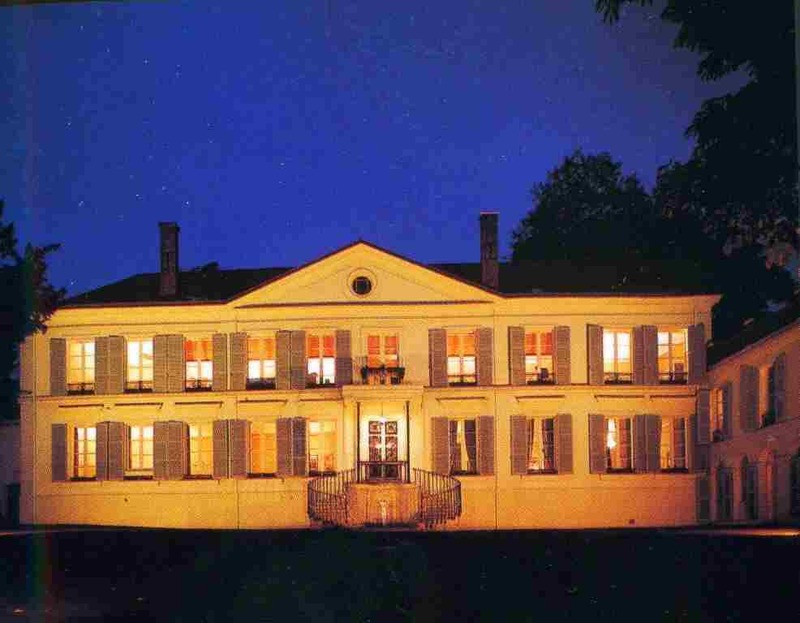 With rights to some 400 hectares of vineyards , Bricout-Delbeck ends up in the Vranken portfolio and swallowed up by LVMH except the former Avize Castle, which keeps the vineyard contracts . With his bankruptcy, Pierre Martin brought on him all the opprobrium that raise « vins sur lattes » in Champagne, alone accounting for all the failings of this system. - More than five million bottles are retrieved result of the operation. Note that it is missing 2 million. 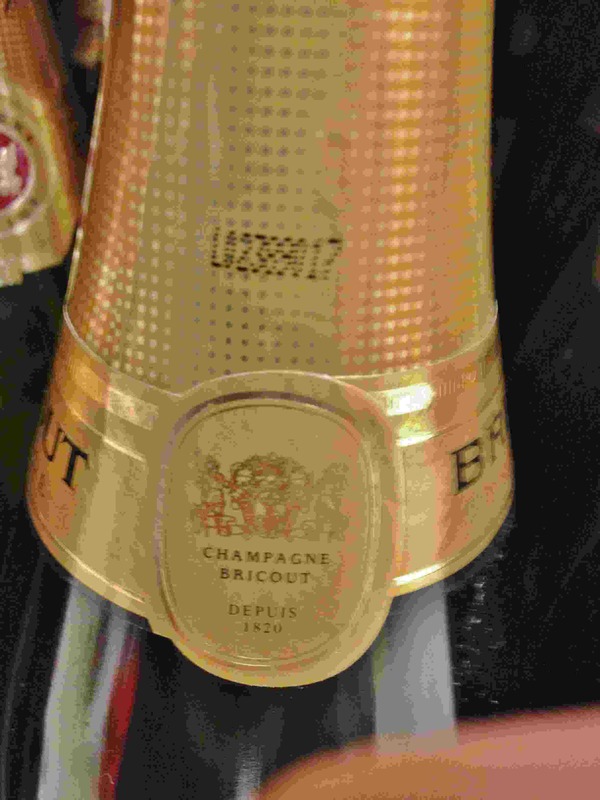 We always find in 2017 champagne Bricout of this time for sale on Ebay! - Recovery by Vranken Pommery Monopole through CHAMPAGNE CHARLES LAFITTE, certain assets of the Group BRICOUT DELBECK MARTIN, whose portfolio of brands and BRICOUT Delbeck, clients attached, a part of the staff, the industrial site of Tours-sur-Marne and Part of stocks and supplies grapes on about 200 hectares. - The company Bricout & Koch is in receivership. - The survey does not demonstrate that Pierre Martin committed an embezzlement. 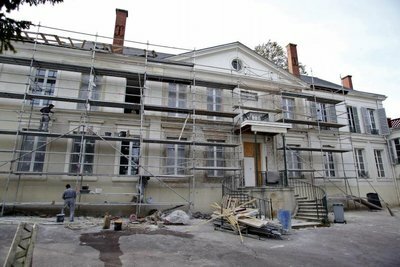 - The Bricout & Koch Avize Castle is again in ruins as in 1966, former discontent Bricout employees set fire to the shutters. Paul-Francois Vranken to The Criminal Court of Reims. The President of the eponymous group should explain the origin of a € 300,000 false invoice discovered in his accounts. This sum corresponds to a part of Champagne Bricout-Delbeck passive, of which Vranken took over some assets last year. In a brief statement, management said it would demonstrate its good faith at the hearing. 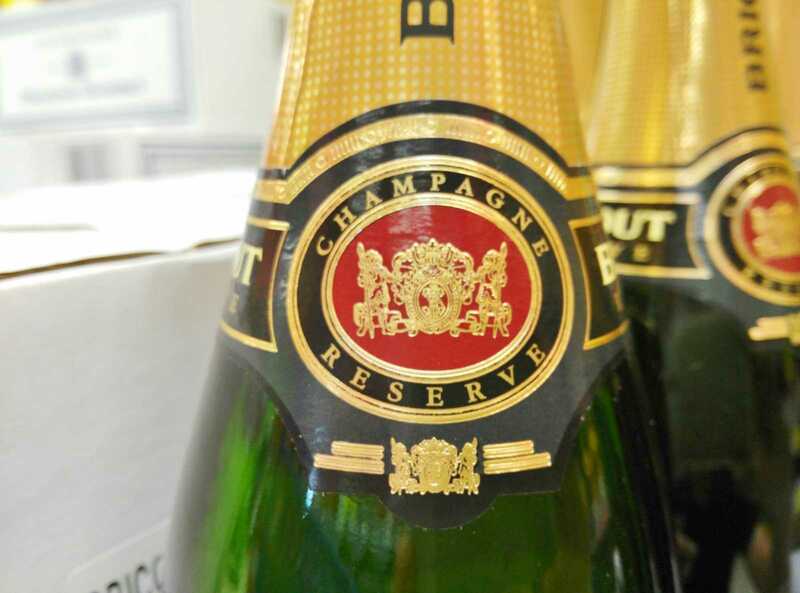 Vranken-Pommery society has indeed been acquirer in association with Moet et Chandon of champagne Bricout Delbeck after liquidation. Paul-Francois Vranken is accused of a false invoice for 300,000 euros corresponding exactly to the amount lacking in the accounts of Bricout-Delbeck companies. 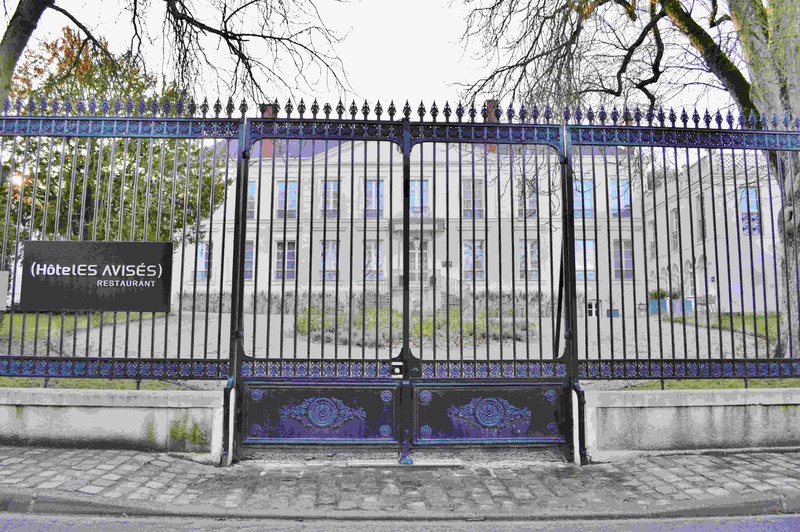 The Vranken-Pommery CEO was sentenced to 50 000 euro fine and Pierre Martin 10 000 euros in the first instance. But both were eventually acquitted on appeal at the end of 2005. Vesting by the company Champagne Charles Lafitte (Vranken-Pommery) production buildings of Tours-sur-Marne, under the terms of transfer of assets of the group Martin Bricout-Delbeck. 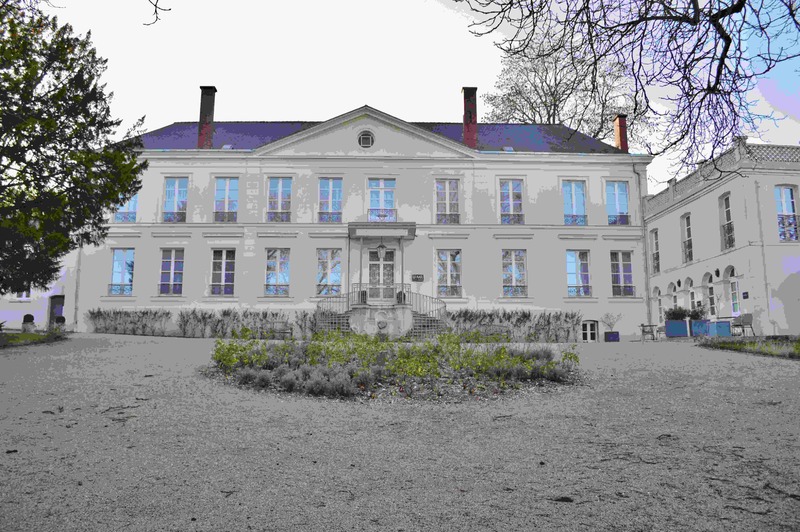 The site of Tours-sur-Marne was previously used by Champagne Charles Lafitte under a temporary occupancy agreement granted by the administrator. 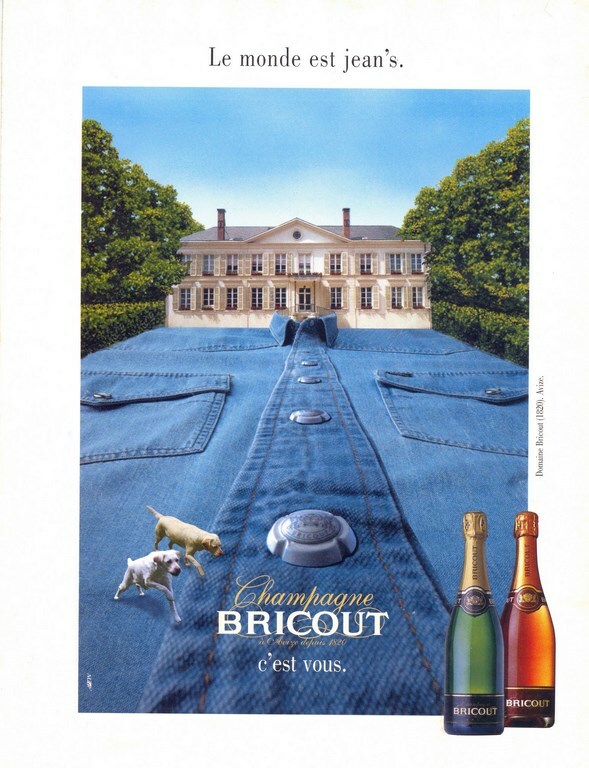 The Champagne Bricout in Avize no longer exists, it remains only the walls and basements empty. "Bricout founded in 1820" (sic) on its bottles. 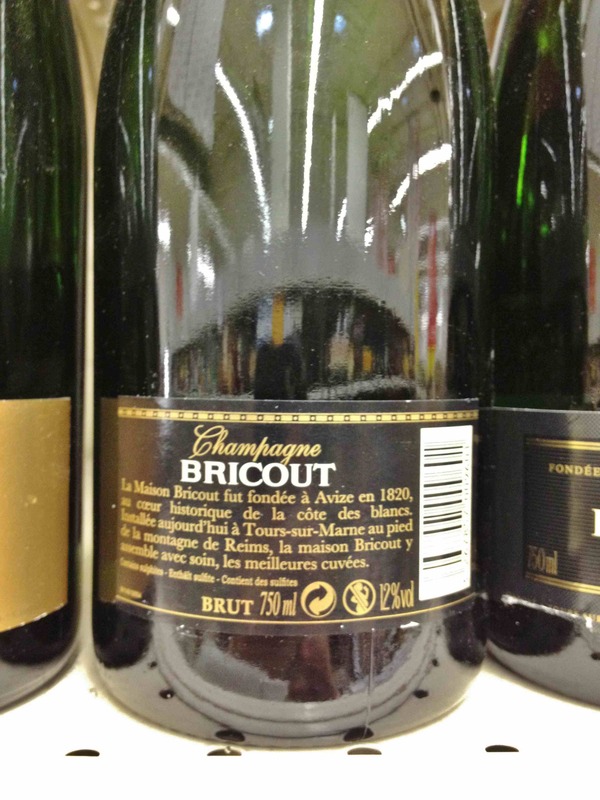 The date of 1820 is even more bizarre as the Champagne Bricout is no longer manufactured neither by the Bricout & Koch Company, nor in Avize, and restoring 1966 as the foundation date would correspond to nothing. 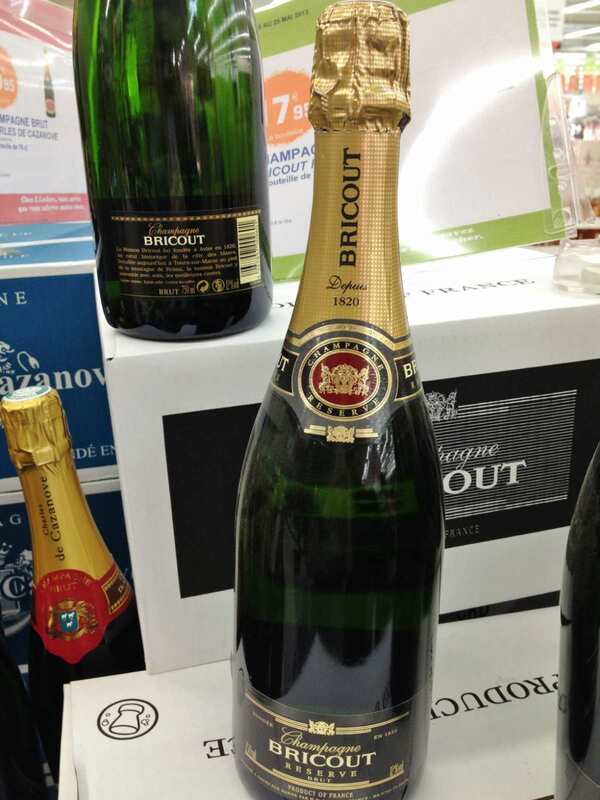 Most likely the Champagne Bricout is now developed in Tours-sur-Marne by Champagne Charles Lafitte, or perhaps comes from « wines on laths » based on inventory and demand ? But again, the foundation of Champagne Lafitte in 1834 is questionable, as when it was acquired in 1983 by Vranken, it was Cognac Charles Lafitte. Champagne Lafitte has also registered the Champagne brand " Charles Koch Avize since 1820 " , thus blocking any possibility of redoing this high-end vintage of nearly two hundred years , since neither Lafitte or Vranken are installed in Avize. Far from removing a serious competitor to LVLH in this niche of luxury, it opens the door to new foreign investors to settle in Avize, as did previous immigrants from the east to create again a Champagne worthy of Côte des Blancs. 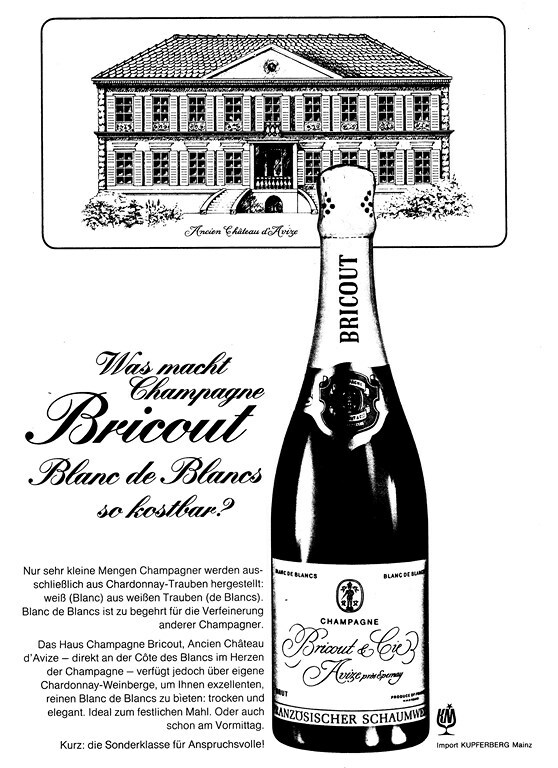 It is now forbidden for Vranken to mention on labels Champagne Bricout, this Champagne was founded in 1820, that date being the foundation of Champagne Koch in Avize. 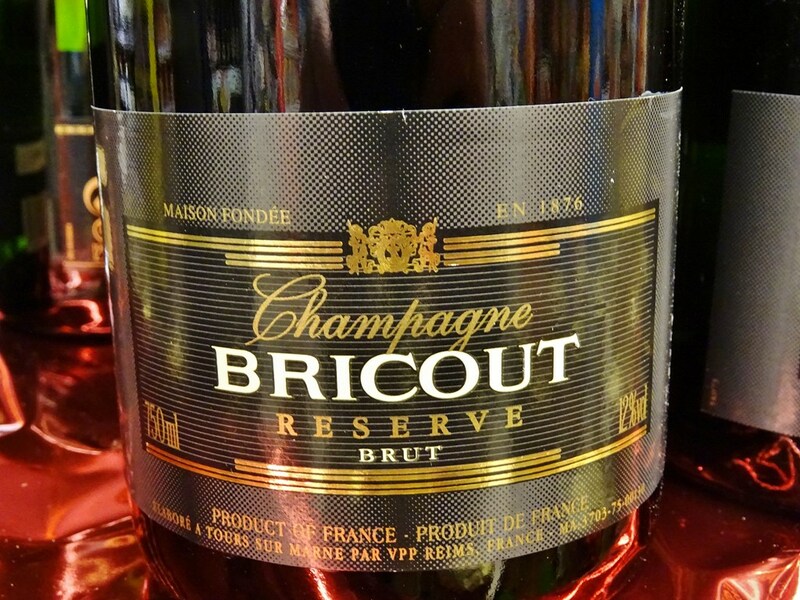 Bricout Prestige and Reserve with misleading historical mentions, continue to be marketed until stocks run out in 2014. 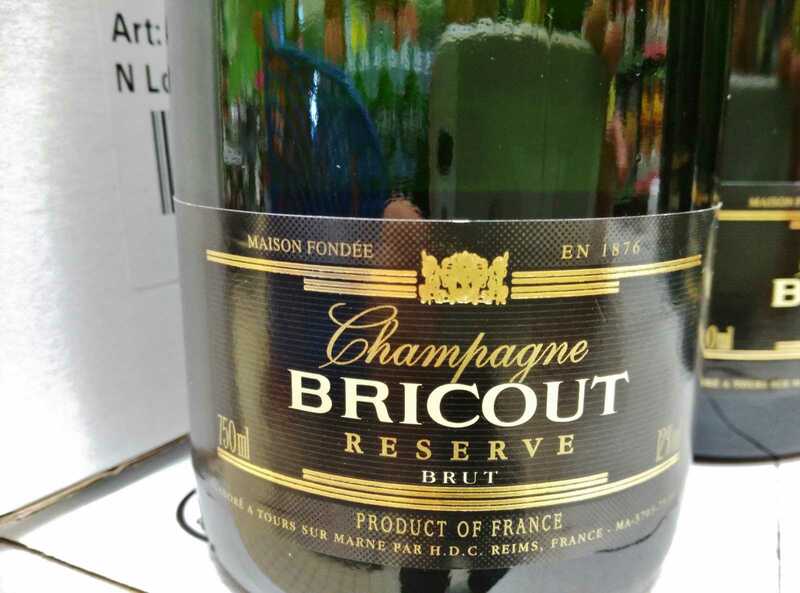 The champagne Bricout reappears in supermarkets. This is the Brut Reserve. The label says a House Bricout founded in 1876. 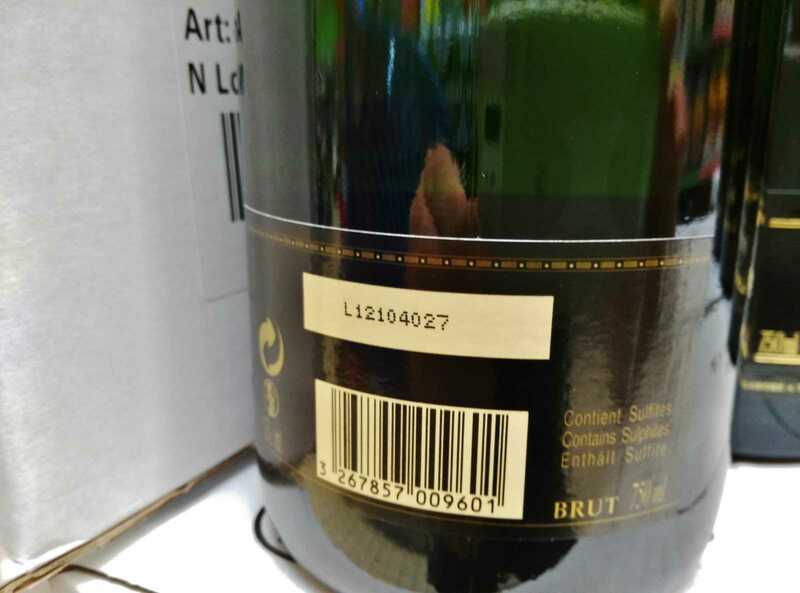 The label indicates that this champagne is produced Tours-sur-Marne near Epernay, manufactured at the same location as the Champagne Lafitte (Vranken group). This new cuvee is a priori totally unrelated to the champagne Bricout previously developed in Avize and Tours-sur-Marne until 2003, except for the name of the brand. 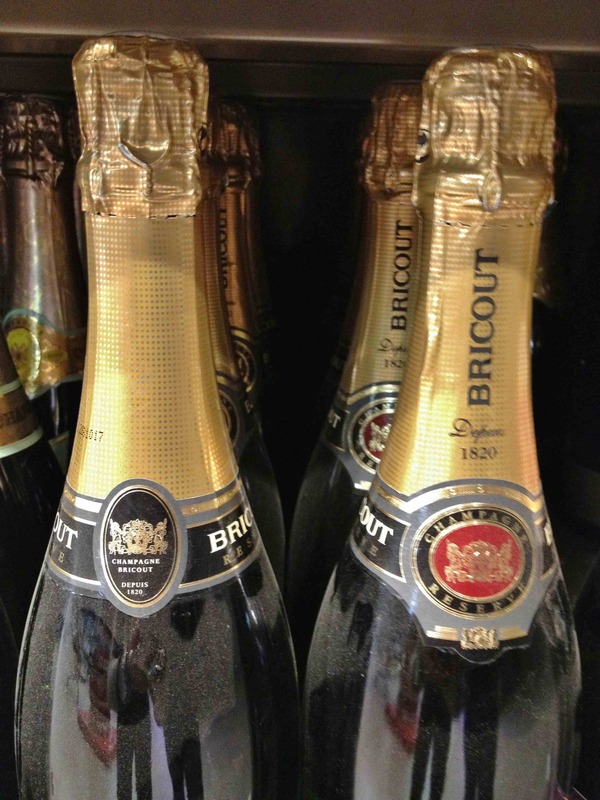 1876 : Arthur Bricout trader in Epernay filed a brand name associated with a champagne label. See story of Arthur Bricout. 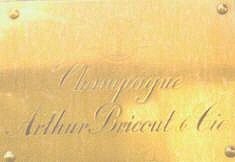 1966: Creation of the Champagne House Arthur Bricout by CA Kupferberg, in Avize. 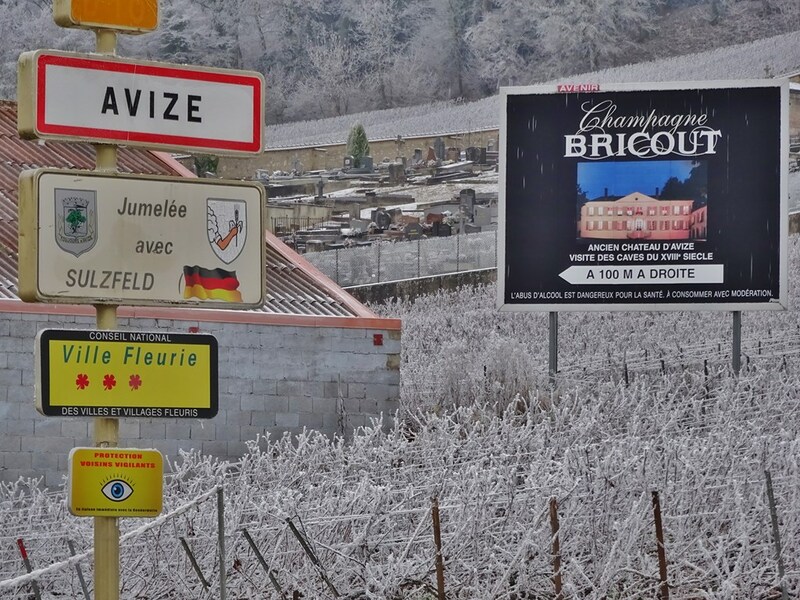 1977: Creation of Bricout & Koch in Avize since 1820. 1998: Purchase by the financial company Martin. 2017 - Reappearing bottles for Christmas ... in Belgium, the same bottles? The example Bricout is a simple textbook case. 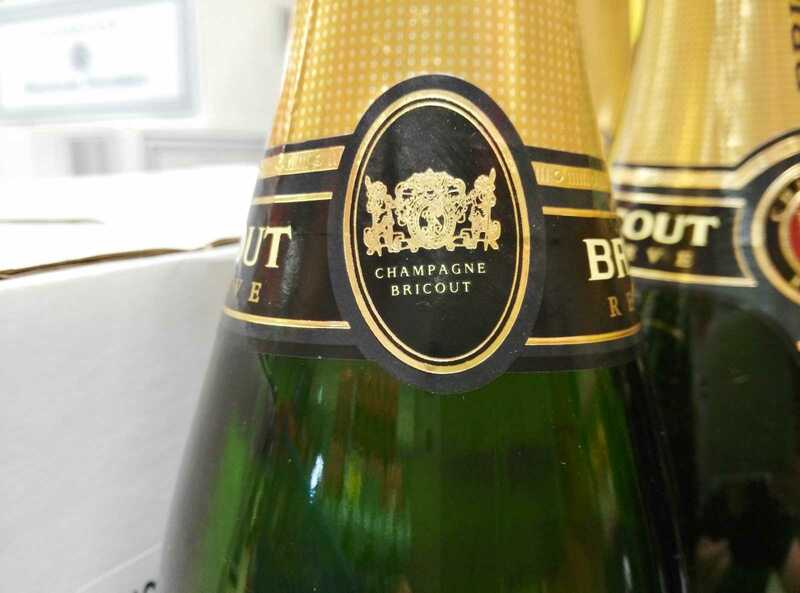 The manufacture of champagnes by the big houses is so opaque that it is impossible to identify the quality or origin. 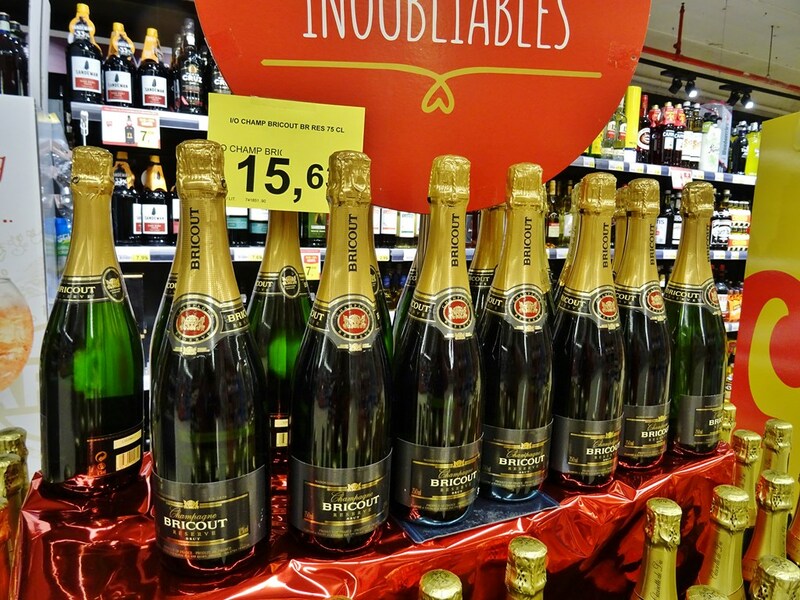 Moët & Chandon (MHCS / LVMH), Mumm (Pernod Ricard! ), Piper-Heidsieck (PPE), Vranken-Pommery Monopole, Lanson (Lanson-BCC), Taittinger ... spread under various hackneyed names, trademarks and sub-brands retrieved, with stamped "Founded in ...." labels, while the champagne houses or their original buildings often no longer exist, and have nothing to do with what they were the date indicated on the labels. Guests must show absolute confidence in these respectable houses, and have a palate not too experienced to be able to exclaim "what a good champagne !" at the first sip. Considering the price they paid for the drink it is the least of things, although the acidity, the disharmony of the mixture, or too long storage in warehouses, are beginning to be obvious from the first glass . 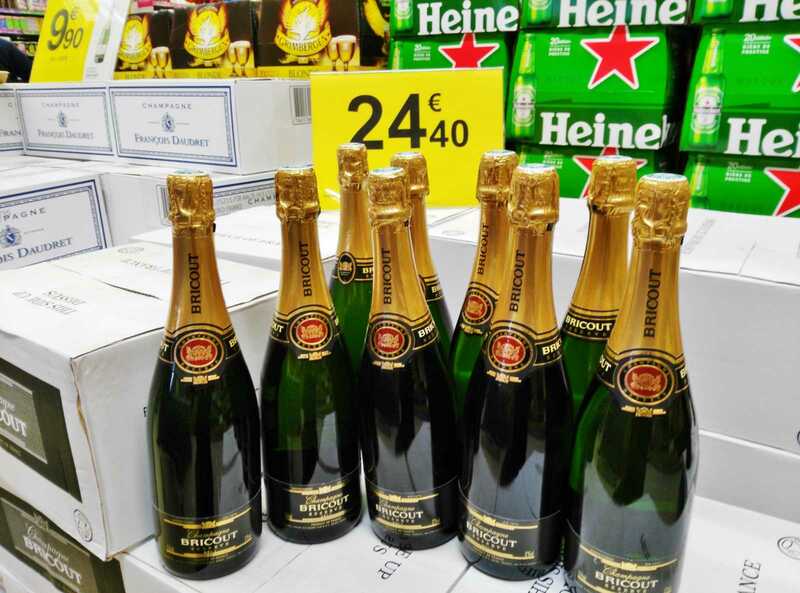 We imagine that the price war in supermarkets for generic champagnes requires resort to the cheapest grapes, which do not come from Marne, with a spiel on the back of the bottle that tries to convince the Rather written very small, and cheap outsourcing of part of the development, that is all the scandal of the 21thcentury champagne. Origins of the grapes ? Labour of the Cellar Master ? Proceedings Bricout - Delbeck "Peter Martin Is The director of a bad movie"
The court of Reims will ultimately not follow the prosecutor in the case of "Martin".